I would recommend is allowing enter in addition to clicking for the dialogue. We don't have to use the mouse for anything else (that I'm aware of) so it kind of ruined the flow. 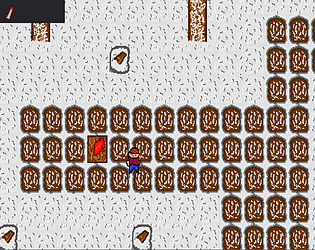 Pretty cool you had a little inventory system going! It was a lot of just running back and forth, but had a certain charm to it. I laughed at the quests a bit. Classic granny! At first I had a really hard time figuring out what I could walk on, and what I could not. 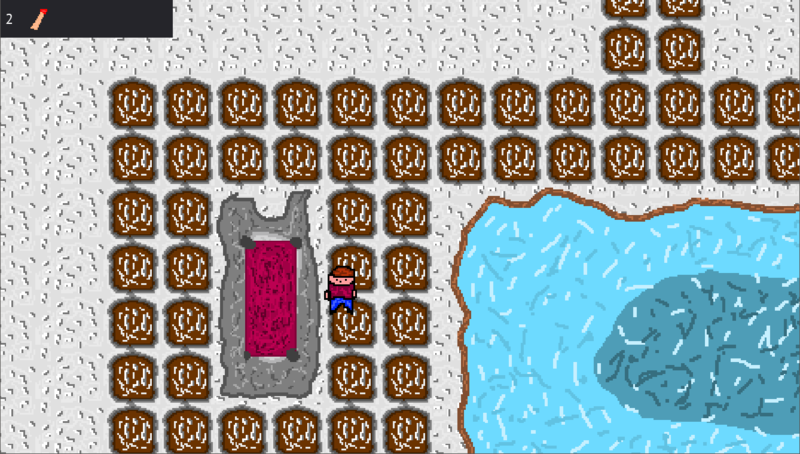 I think the reason I had difficulty was because the dirt/ground tiles have boarders of snow, suggesting they higher/lower than the rest of the snow (I thought the white snow tiles were the ground at first). 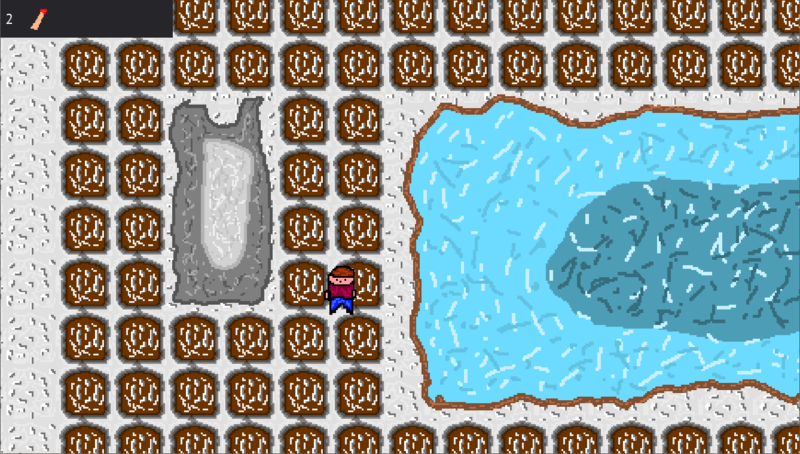 I would (maybe) remove the snow boarder on the dirt/ground tiles to give a better visual contrast, which may help make it a little more obvious at a glance where you can walk. To be fair, once I figured it out I had no difficulties, so maybe no changes are needed. The only other thing I had difficulty with was I did not realize I had to go through the burnt house to get to the lake, though that is my fault since I missed the clue in the text the first time. Other than that I was able to successfully go through the entire game, and it was pretty fun! 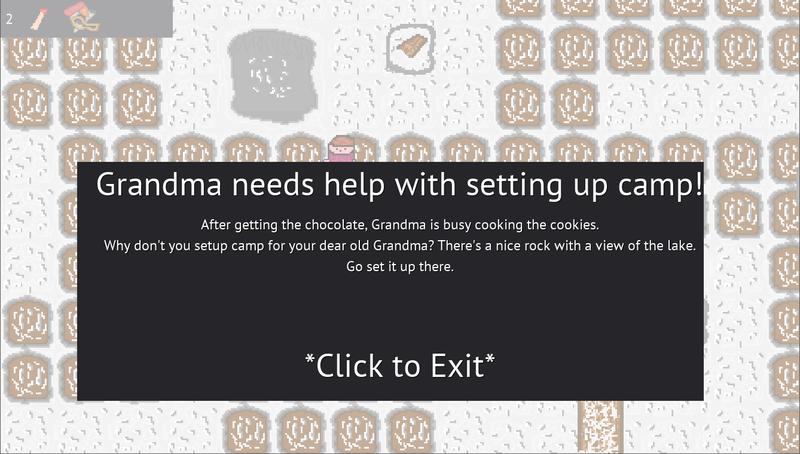 I really liked the RPG Maker vibe I got, especially from the text boxes. Is my grandmother a sasquach? Why is she living in a hole and making me commit arson?